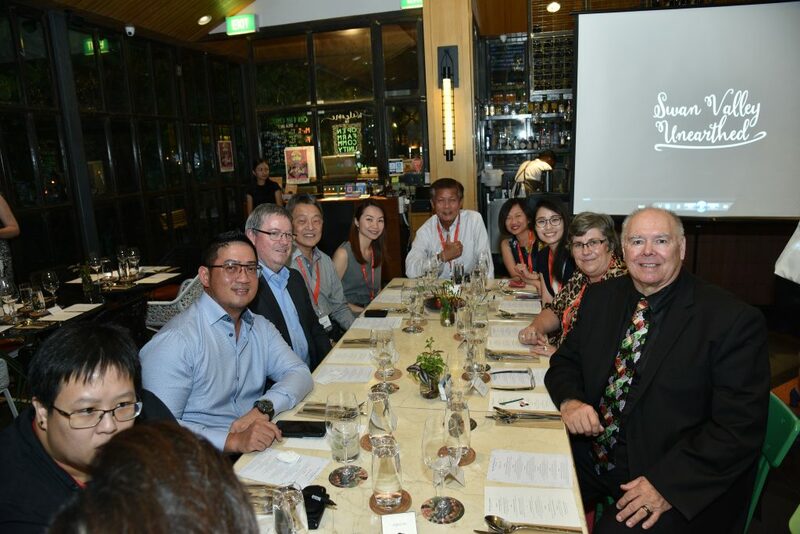 Officials from the City of Swan held an event in Singapore on April 2, 2019 to present the best kept food and wine secrets of Swan Valley. This is a region in Western Australia located just 25 minutes from Perth City centre and 10 minutes from Perth airport. 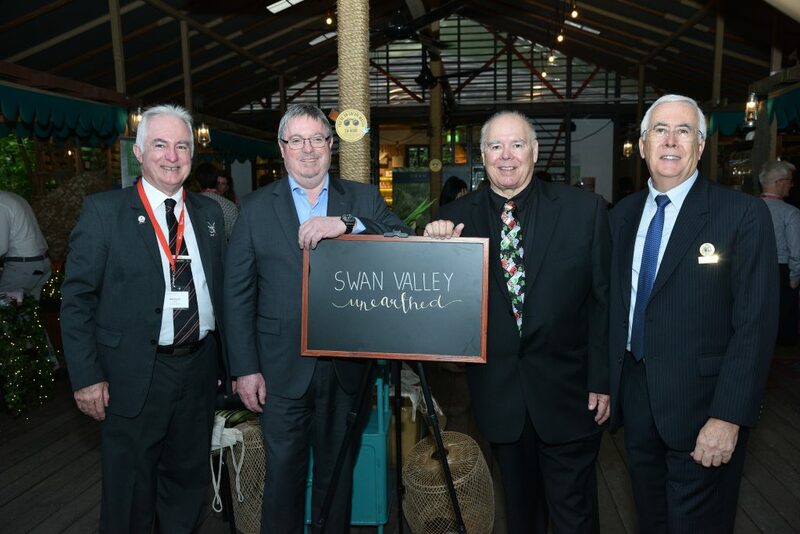 The event complemented the release of five new Swan Valley food and wine trails: Fresh Seasonal Produce, Fine Wine, Wine and Art Off the Beaten Track, Kids in the Valley and Bushtucker and Beyond. City of Swan Mayor David Lucas (above, third from left) said there are seven food and wine trails in total, with the Sweet Temptations and Cider and Ale trails launched last year. Representatives from the food and wine trails were present at the event. Nearly 70 guests from the travel, trade, media and food & beverage industries in Singapore were treated to several Swan Valley produce, including bush tucker preserves, wine, cider, chocolate, nuts, nougat and honey. Mayor Lucas said Swan Valley is the oldest wine region in Western Australia and second oldest in Australia. “With more than 150 attractions on offer there’s something for everyone, and we’re very excited to share our insider tips with Singapore,” he said. 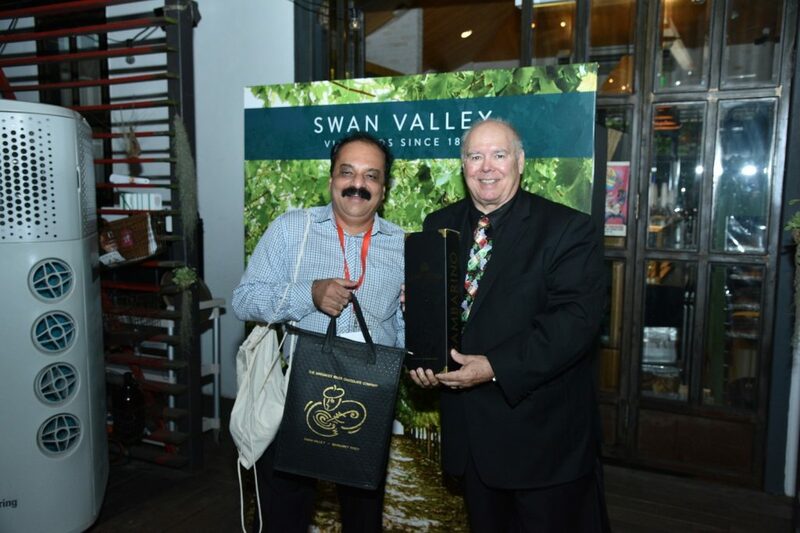 Mayor Lucas gave out premium Swan Valley products, including bottles of wines, to two lucky draw winners. One of the winners was V.K. Santosh Kumar (below), Editor of Inside Recent. 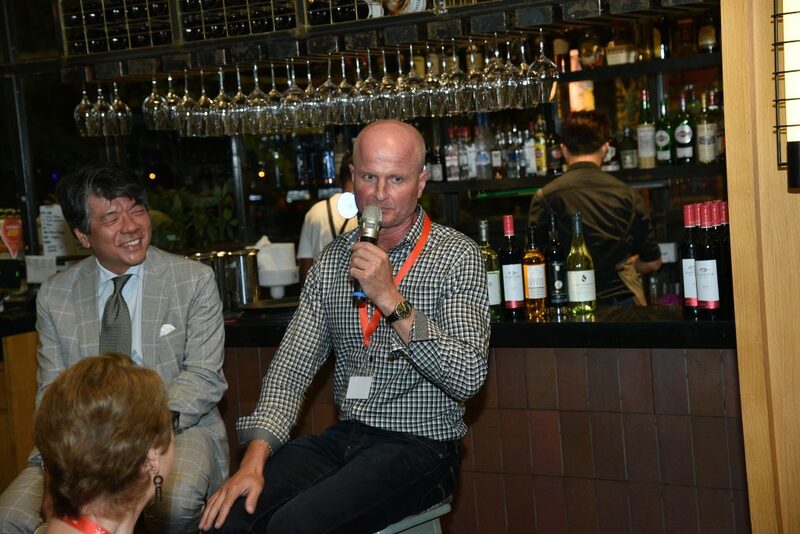 Later, well-known international wine writer Ch’ng Poh Tiong (below, left) emceed during an exclusive dinner at Open Farm Community on Minden Road where Swan Valley wines were matched with the dinner menu. The City of Swan is also running a competition to send two people from Singapore to Swan Valley to experience the region first-hand. The competition is supported by Destination Perth. The lucky winner will receive return Singapore Airlines flights to Perth, four nights’ stay at the Novotel Vinesresort including breakfast, a game of mini-golf and a full-day D’Vine Swan Valley tour. Singapore is only a five hour flight away from Perth and the Swan Valley. It’s my absolute pleasure and delight to be here today, to bring a little slice of the Swan Valley out to our friends and neighbours in Singapore. 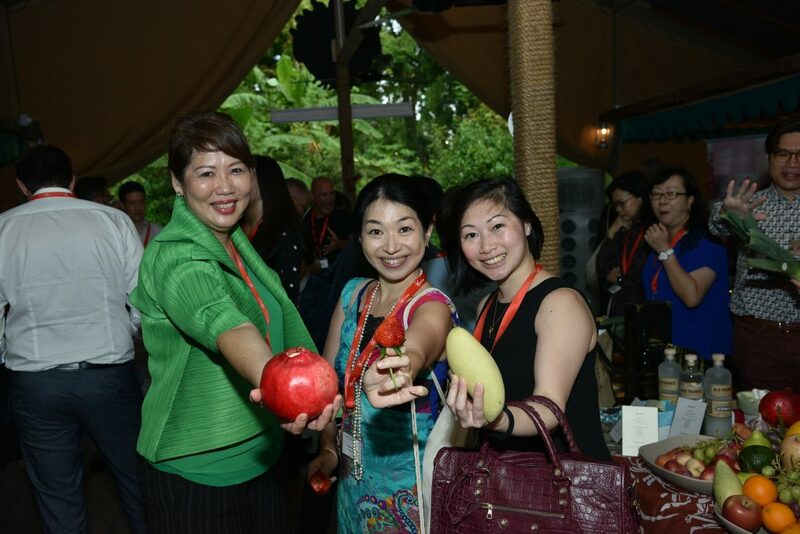 We have a close connection with Singapore – the same time-zone, and the same passion for great food and wine. Singaporeans are our second largest group of inbound visitors and it’s no wonder, with direct flights to Perth taking only 5 hours. The Swan Valley is an artisan hub, an idyllic and accessible region home to sculptors, painters, growers and makers. It’s easy to see the passion and love that goes into each and every product within the valley. Once considered the food bowl of the colony, the Swan Valley is home to a flourishing arts, viticulture and horticultural industry. For over 180 years, the Swan Valley has welcomed migrants from Croatia, Italy and many other European nations. Their rich and varied backgrounds helped build the diversity of experiences throughout the region. 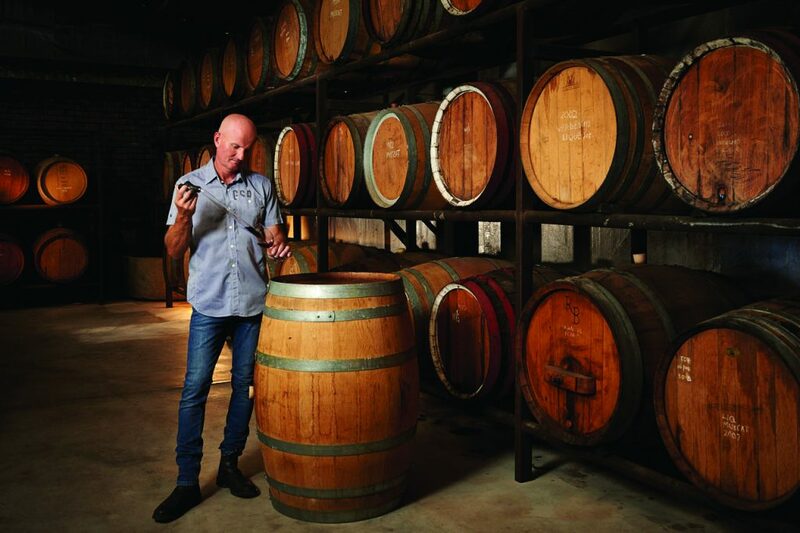 From fresh fruit and vegetables to internationally acclaimed wines, the Swan Valley has it all. We’re just 25 minutes from the Perth CBD and even less from the Airport. With so many experiences on offer, we’ve put together a range of trails to make sure you get the most out of your time in the Valley. Our Cider and Ale trail, and Sweet Temptations trail have been well received and today I’m pleased to launch five new trails for you to explore. Kids in the Valley – capturing the excitement and fun of the valley, this trail encapsulates WA’s coolest reptiles, delightful chocolates and ice-cream as well as the chance to cuddle cute baby animals. Our Fine Wine trail is designed for the connoisseur and takes in the valley’s most exclusive and premium quality wines. Add some culture and artistic inspiration to your day with our new Wine and Art: Off the beaten track Trail, where you’ll discover the creative genius behind family owned and operated wineries, handcrafted products and stunning artistic wares. The new Bush Tucker and Beyond trail delves into the ancient history of the region. With over 45,000 years of connected culture to the land, the indigenous people made the best use of the local flora and fauna. Join Dale (in audience) and the team from Maalinup for a unique local experience. And my personal favourite, the Fresh Seasonal Produce trail, which meanders through local growers and farmers where food is fresh, flavoursome and abundant. Enjoy some tasty table grapes, natural honey, eggplants, apricots, melons, asparagus and even mangoes in the Swan Valley. We’re privileged today to be joined by some of the local producers. So a big thank you to all for attending and for taking time out of your busy lives to promote our spectacular region. I’m also delighted to share with you a fantastic competition, so tell your friends and your customers. I hope that you all got to sample some of the wonderful produce from our region and I encourage you to snap and share images of tonight’s experience with your friends on social media. We’re using the hashtag “TheSwanValley”. To really entice you and your clients and readers to visit the Swan Valley we’re also offering additional discounts to visitors who present a Singapore Airlines boarding pass at selected locations between June and August 2019. There are discounts on wine, accommodation, tasting plates and tours, so make sure you take advantage of these special offers while you can. Finally, can I thank you all for coming along tonight. We’re thrilled to be able to share our magnificent Swan Valley with you and I hope you enjoy the enchanting food and wine to be served.